These faucets can be hooked up to any standard drinking water filter. 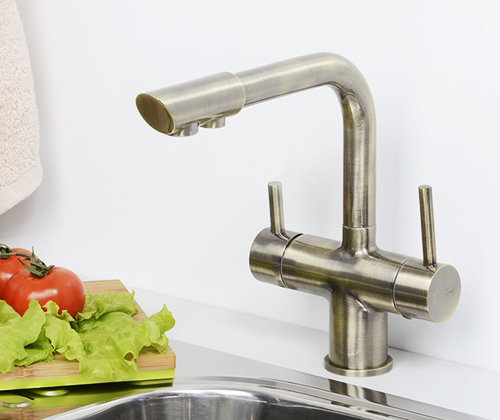 Filtered drinking water is supplied with a simple turn of the faucet lever. 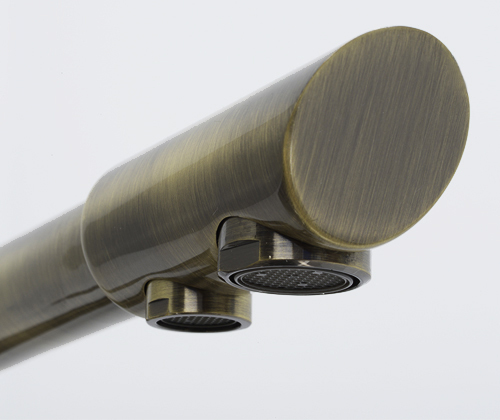 Filter faucet models А8017, А8027, А8037 and А8047 can supply both ordinary tap water and filtered drinking water. 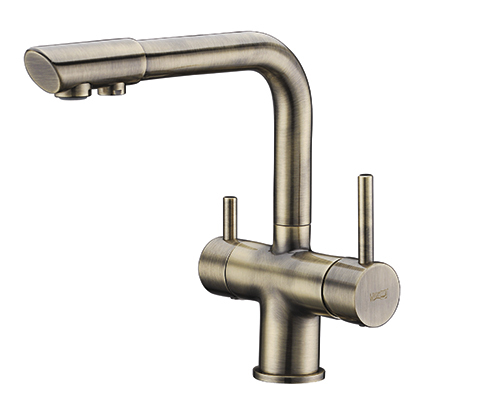 Turn the left lever on the faucet to adjust the pressure and temperature of the tap water. In this case, the water flows from one opening in the spout. A separate opening is available for supplying purified drinking water; just turn the left lever on the faucet. 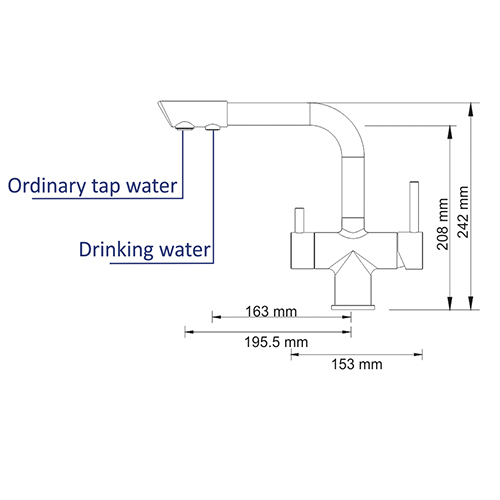 In this case, the tap water lever should be kept in the closed position. 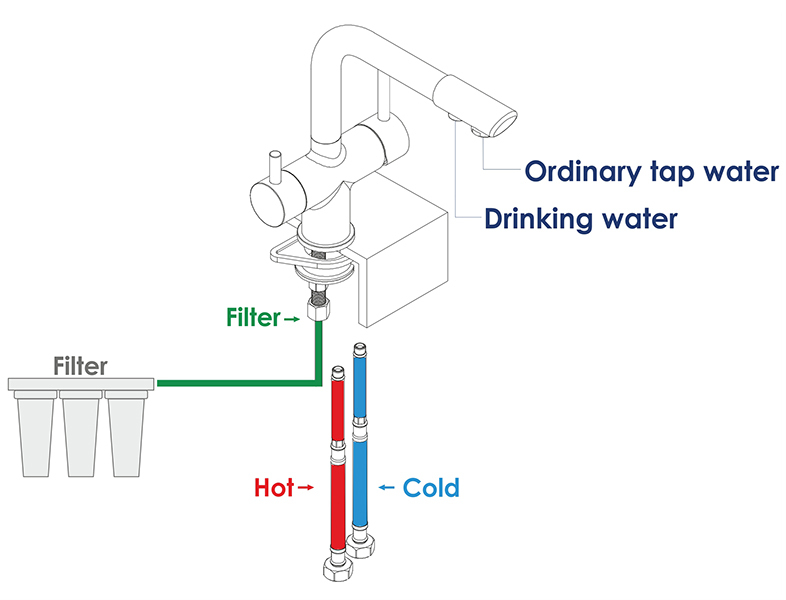 Filter faucets can be connected to any standard water purification filter.